1. Click the Customer button. 2. Click the Agreements button. 3. 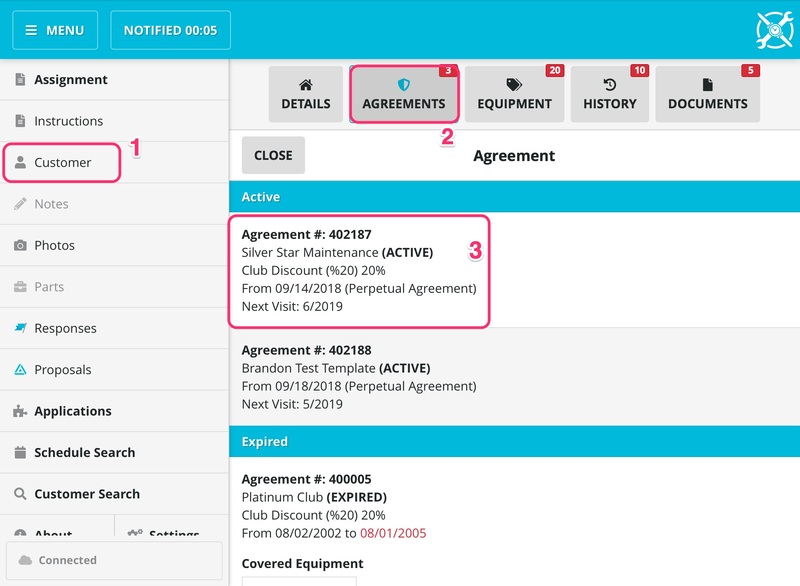 You will see a list that shows any agreements. Take note of the expired agreement that needs to be renewed. 4. Move to the Invoice screen in SWRemote. 5. Tap the +Agree button. Tap the Renew Existing button. 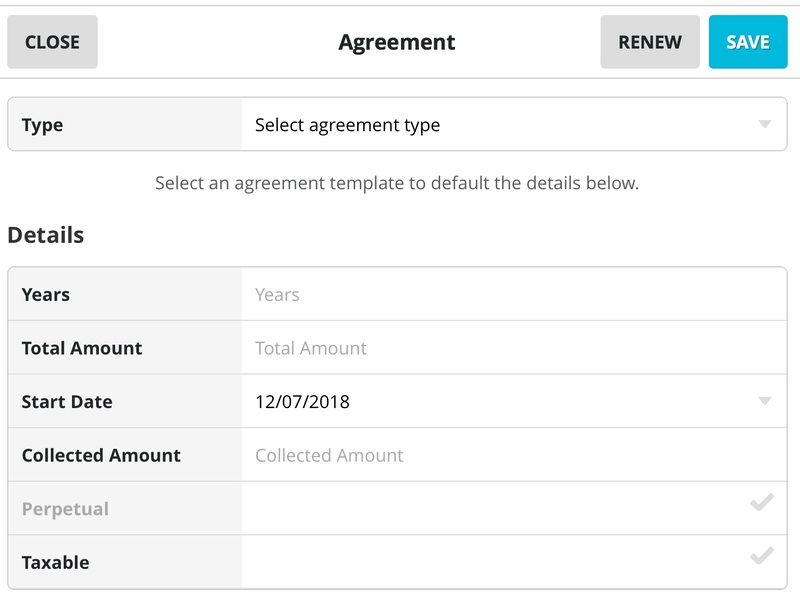 Select the Agreement that you need to renew by tapping on it. 8. Fill out the appropriate information before pressing the Save button. Now you will see that the Agreement Deposit has been added to the Invoice.